From Najwa Zebian - celebrated Lebanese-Canadian poet, speaker, and educator - comes a highly personal and moving second collection. 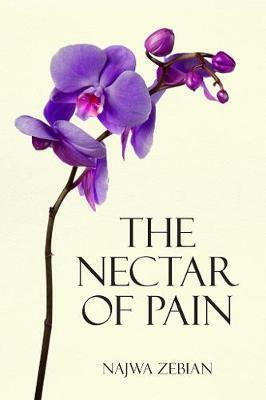 In The Nectar of Pain, Zebian sheds light on the feelings and experiences that emerge from a painful heartbreak. She writes that the process of cleansing oneself of that pain - day by day, hour by hour, and second by second - is the real work of healing. With uncommon warmth and wisdom, Zebian empowers all who have lost to let go of anger and transform their suffering into the softness, sweetness, and beauty of nectar. She holds her readers by the hand as they heal.